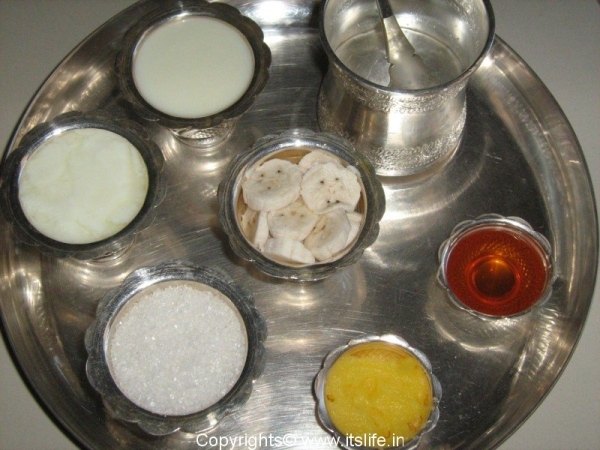 “Panch” means 5 and “Amrutha” means nectar in Sanskrit. 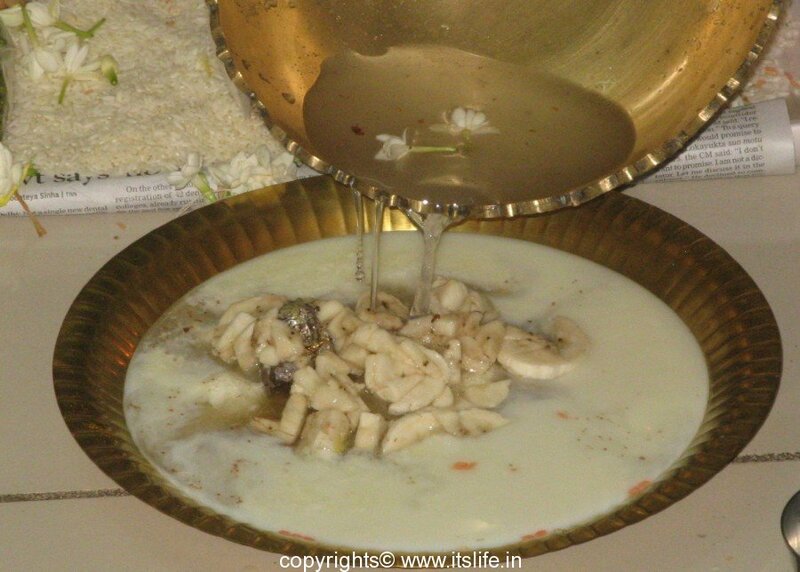 Panchamrutha Abhishekha is a Hindu ritual performed at all homes and temples, where the idols are bathed with Milk, Curds, Honey, Sugar and Ghee/Clarified Butter with the chanting of mantras. 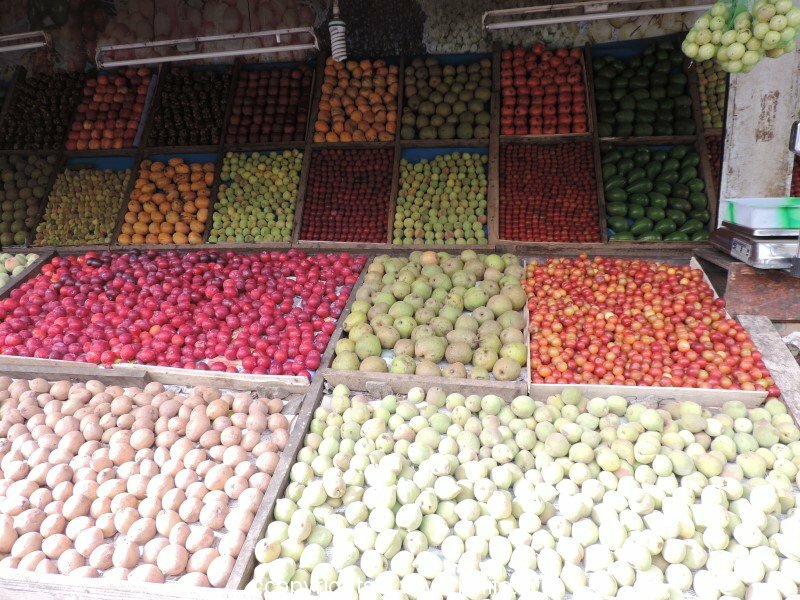 When ripe fruits of Banana and Mangoes are used in the ritual, it is known as “Phala Panchamrutha”, here “Phala” means fruit. 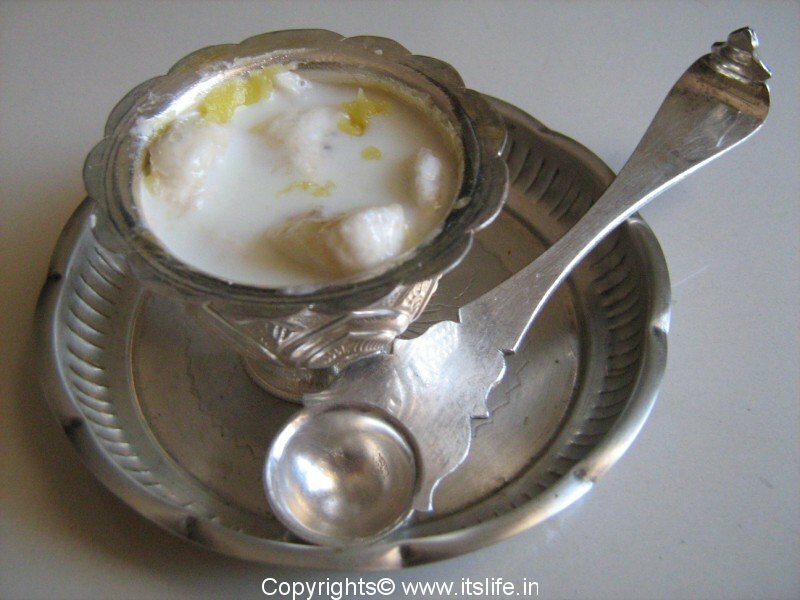 After every ingredient “Shudhodaka snana” i.e, pure water is poured on the idols. 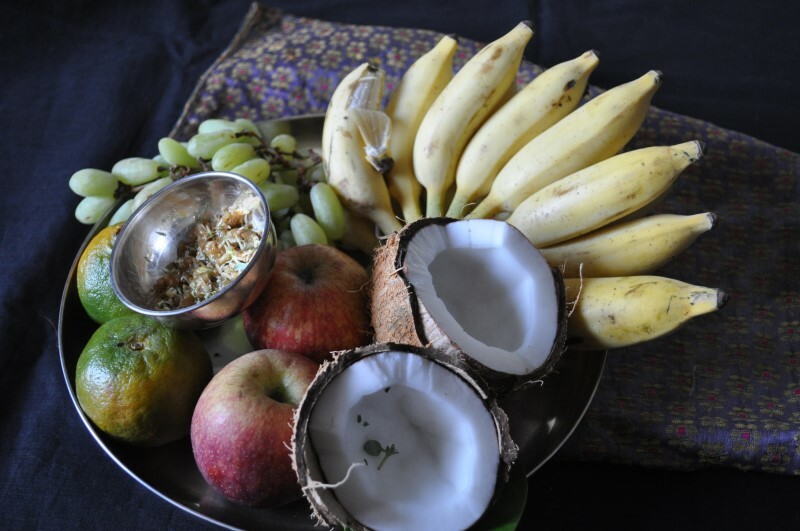 Sometimes, “Phala Neera” i.e., tender coconut water is also used to bathe the idols. After the abhishekha the idols are cleaned and beautifully decorated. A Maha Mangalaarathi/grand aarathi is performed. 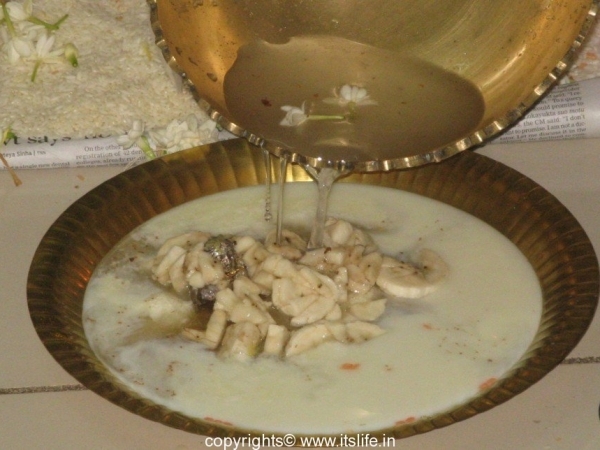 A spoonful of Panchamrutha is offered to the devotees. Shantha, nice informative post. I browse through your blog often, thanks for all the nice posts and lovely pics and keep up the good work! Thanks Nandini for sharing your thoughts. Keep visiting. I came here while searching images of Ashoka tree and I couldn’t get away from this blog.